Pioneers in the industry, we offer liquid blue 35, unicol red 161, unicol blue 98, unicol red 19 e, unicol blue 79 and unicol red 164 from India. Leveraging on our years of experience and in-depth knowledge of this domain, we are offering Liquid Blue 35. Our offered Liquid Blue 35 is formulated by making use of supreme quality chemical ingredients and the innovative techniques. Our provided Liquid Blue 35 is demanded in various industries for various kinds of applications like manufacturing of dye, paint, and whitening clothes. Customers can avail this Liquid Blue 35 within committed time frame from us in proper packaging. With our vast industry experience we are able to offer Unicol Red 161. This Unicol Red 161 is available in varied packaging options as per with customer’s needs. Offered Unicol Red 161 is well processed under the observation of our skilled workforce by utilizing finest ingredients at par with set quality standards. 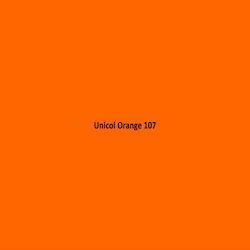 We provide this Unicol Red 161 after complete check in order to ensure its color quality at our end. In order to meet the diverse requirements of the clients we are providing Unicol Blue 98. The offered Unicol Blue 98 is processed in our processing unit by using top-notch quality ingredients and sophisticated techniques as per the set quality standards. The offered Unicol Blue 98 is available in various packaging options as per the requirements of the patrons. Our quality controllers' check these Unicol Blue 98 on numerous defined parameters. Our company is engaged in offering a qualitative range of Unicol Red 19 E. Our offered dyes are used in textile industry for dyeing clothes. These dyes are processed making use of quality assured chemical compounds as well modern technology under the strict direction of adroit professionals as per the predefined industry norms. In order to ensure their effectiveness, the provided dyes are tested on different quality parameters by our quality examiners. As an acclaimed enterprise of the industry, we are involved in exporting a broad range of Unicol Blue 79. This Unicol Blue 79 is available in varied packaging options as per with customer’s needs. As an acclaimed enterprise of the industry, we are involved in exporting a broad range of Orange 2B. This Orange 2B is available in varied packaging options as per with customer’s needs.